Closeouts. 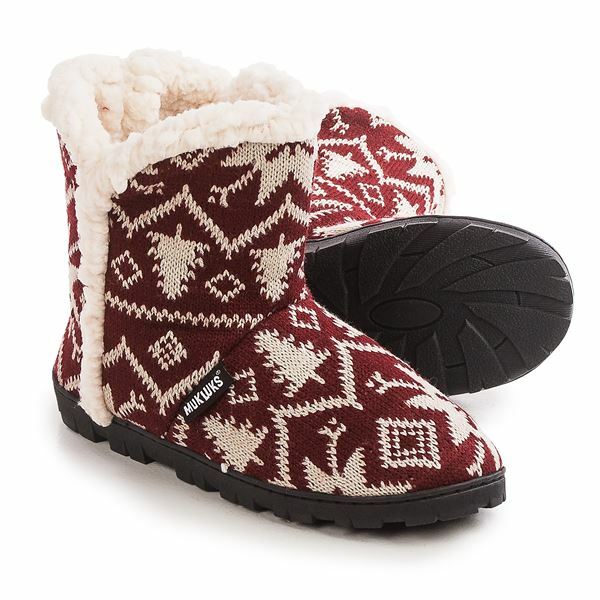 Enjoy a little extra warmth this winter with Muk Luks’ Faux-Fur Trim boot slippers. The knit upper houses a plush, faux-fur lining to trap heat, and the durable outsole means you don’t have to take them off when it’s time to get the mail.